We all sometimes fail to address things that we wish were different. In becoming healthier and in leading a school, what matters is not how many times you mess up, but how many times your commitment to your ultimate goal fuels you in getting back up. The clearer and more compelling your vision for the future — and the more inspired you are by that vision — the more energy you’ll have to weather the trials and tribulations along the way. That’s why step 1 is not to figure out what to do, it’s to define your vision for where you want to go and what you want to achieve. 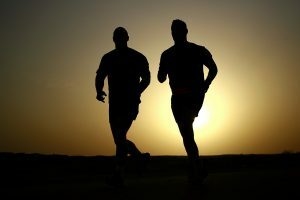 Both as a school leader and an individual seeking to be more fit, I found a wide and daunting gap between my current state and my ideal vision. This led to feelings of overwhelm: how am I going to do everything that’s required to accomplish my goals? My coaching program helped me overcome this challenge by breaking “fitness” down into component parts (e.g., eating nutritious foods, exercising regularly, developing healthy eating habits) and helping me to tackle these parts one at a time. This approach seemed too slow to me at first: I was used to diving in head first and trying to fix my diet AND my exercise AND my habits all at once. Over time, though, this “take small bites” approach helped me to tackle a much bigger problem bit by bit. After some reflection, I saw how my “do it all at once” approach not only defined my approach to dieting, but also my approach to school leadership. I wish that I had approached school leadership more like my program encouraged me to approach nutrition: break a big goal down into component parts and take small bites at them over time. Over the past year of nutritional coaching, I spent a lot of time frustrated with choices I made. Did I really need four slices of pizza? Why did I eat so much that I literally felt sick? As a school leader, I had many similar moments of frustration. Why did I lose my cool with that student/teacher/parent? How could I have messed up that professional development session so badly? My coaching program taught me that instead of turning away from these feelings of frustration, I should tune into them. Why was I feeling frustrated? Why did I do the thing I was frustrated about? And why was I in that position in the first place? This process of asking why is critical to breaking the chain of less-than-ideal behaviors and helping us diagnose what to do differently. If I asked why more often as a school leader, I might have been more successful at preventing poor decisions. I recently heard the saying, “If knowledge was all you needed, then everyone would be billionaires with washboard abs.” For many of us, it’s not knowledge of what we should do that holds us back from achieving our goal, it’s the challenge of actually doing it. This is equally true in fitness as it is in school leadership. Recognizing this, my program encouraged me to build a community of supporters around me. I had a coach who regularly checked in on my progress, offered encouragement, and served as a sounding board when spirits were low. I bonded with friends who were on a similar journey. There were many moments of frustration and disappointment over the last year, and this community of supporters bolstered my strength along the way. As school leaders, we need these same supports. We need a coach who holds us accountable, listens to our worries, and cheers us on. We need peers to talk with. Looking back on my days as a school leader, I wish I did a better job of cultivating relationships and deriving strength from others. I’m not writing this with a miraculous “after” picture of my six-pack abs (I don’t have them!). The truth, as hard as it is for me to admit it, is that in my journey of being fit and healthy, there will never be a moment where I think to myself, “yes, that’s perfect. I’ve accomplished it all.” The go-getter in me is frustrated by this, but my coaching program has helped me to see the beauty in never being “done.” I just get to keep enjoying the benefits of feeling fit and healthy! The same is true for leading a school. There will never come a day when you stop and think, “Aha! Here I have it, the perfect school!” That can be demoralizing at first, but it also means that you get to keep being a part of the beautiful journey of working with adults and kids to achieve their potential. 11 months after my coaching program began, I’m proud of the improvements I’ve made to my health and fitness. After reflecting on how these lessons could have served me in my work as a school leader, it’s my job to apply them throughout my life. Hopefully you may find them helpful in achieving your own goals, whatever they may be.